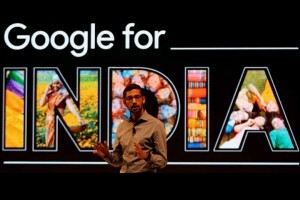 Google is known for its innovative products and technologies recently, its CEO Sundar Pichai visited India with a new project called “Loon”. The main idea of the project is to offer low-cost network service for rural and public areas. The working plan of the project is to release helium-filled balloons at the distance of 20 kilometers above earth surface by interfering with the mobile network. The project was already tested by Google in New Zealand and Brazil. This project will use the same bandwidth offered for mobile networks in India and it may create interference in cellular transmissions. Google planned to offer 4G or LTE network in the project. The search giant has also planned to develop many projects that work in slow connections and in offline. It will continue working with startup companies in India through the internet. And it also planned to bring more small business in online. Google will soon work with schools and colleges to bring long video content for YouTube and it also work for the development of engineering and business in India. The project loon will benefit people in remote areas and it also offer internet connectivity in public spaces like railway stations.